With petrol being a non- renewable resource, the price of fuel is set to rise. This can have an consequential impact on the household budget. 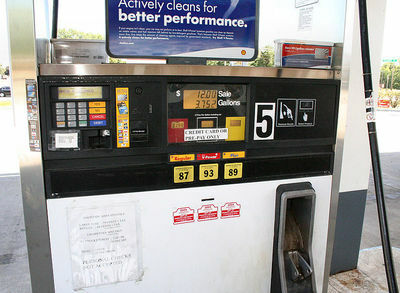 Here are a few tips for reducing fuel consumption. By practicing these regularly, your fuel efficiency habits can add up to significant savings over the long term. Just slow down! My husband thinks I'm nagging when I tell him this, but there is a reason behind it. Excessive acceleration can use up to 25% more fuel, than sticking to the speed limit. Also by slowing down you reduce the chances of getting a hefty speeding fine. Get rid of those spare camping chairs or sports equipment in the boot. Keep them in the shed instead. Carrying excess weight in the back uses extra fuel. Make sure your tires are regularly pumped up. Flat tires can cause increased rolling resistance and increase fuel usage by up to 6%. By planning ahead you can save money on petrol by not making multiple trips during the week. Is your library right next to the supermarket with an op shop across the road? Consider visiting all of them in one day, to reduce fuel costs. Do you have any other suggestions for being fuel efficient? Great tips. I think another idea is car sharing if you're doing big commutes or even if you're just heading in the same direction as a friend. Sometimes groups of parents go in together for the school run to save on multiple vehicles all going the same route. Not really fuel efficient driving, but it's a form of fuel efficiency as you're not using as much fuel. Definitely. If traveling only a short distance walking, or bike riding is another option. Also catching public transport can save a fair bit of money too. When I travel into the city, my family of 5 can travel all day for $11.70. If we were to drive there, the cost of fuel and parking is easily $20.